Dr. Omar Manejwala, Chief Medical Officer of Catasys and one of the nation’s leading experts of addiction, discusses the opioid epidemic, some practical steps we can take to combat it, and the role faith can play for someone in recovery. Thanks for joining us this week for Family Policy Matters. It ‘s no secret that a drug addiction crisis is plaguing our state and our nation. Overdose on opioids and other drugs is now the leading cause of accidental deaths in North Carolina, even above automobile accidents and gun-related homicides. Needless to say, many of our state’s families have been impacted in some way by the opioid epidemic. Our guest today has dedicated himself to turning back the tide on this trend after losing his best friend to addiction. 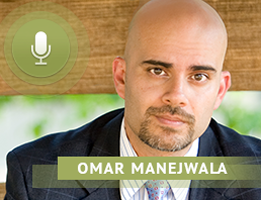 Board certified in Psychiatry, Addiction Medicine and Medical Management, our guest is Dr. Omar Manejwala. He is the Chief Medical Officer at Catasys in Charlotte, North Carolina and one of the leading experts on addiction. Dr. Manejwala, welcome to Family Policy Matters. It’s great to have you on the show. OMAR MANEJWALA: Thanks John. It’s really great to be here and thanks to you and also the North Carolina Family Policy Council for focusing on this critically important issue. JOHN RUSTIN: Dr. Manejwala, as we begin our conversation, give us some perspective on the scope of the opioid epidemic today, both nationally and here in North Carolina? OMAR MANEJWALA: Sure. So nationally—and some of the data are a little bit old because it takes time to pull it together—but nationally, we had about 64,000 overdose deaths in 2016, and all the evidence points to the fact that that has increased in 2017 and in early 2018. So just to put that in perspective: That’s more Americans than died from gun violence; It’s more than died from vehicle accidents; It’s more than died from HIV and AIDS; It’s actually more deaths than the Vietnam and Iraq wars combined, which is staggering. And then if you look at North Carolina over the last, say 15 years, we estimate that about 12,000 North Carolinians have died from overdoses. The most recent data is that we’re losing about four North Carolinians per day from overdose, and that’s just the deaths. If you look at all the other costs and challenges, we’ve got about 16 North Carolinians who are visiting ERs every day for overdoses—almost two billion dollars in medical expenses—and it’s all getting worse. So the figures have quadrupled over the last 15 years. There’s really no evidence that it’s getting any better yet. Most of the deaths are from combinations of drugs, and even though prescription overdoses are more common than say your heroin or your illicit overdoses, that’s not going to continue for long because the rate at which the heroin overdoses is rising is over 800 percent over the last five years. And so this is not heading in a good direction. We are trying to solve this in North Carolina. I know you guys are, and legislators and others are trying to solve this, but we’re still pretty far behind. In North Carolina, we have one of the lowest rates of doctors who are certified to prescribe effective treatments for this. It’s not the worst rate but we’re among the lowest in terms of providers able to help people in crisis. So that’s puts it in context and it’s a serious problem and it’s not getting better. JOHN RUSTIN: Well it sure is a serious problem and those rates of increase in deaths and addictions are really staggering. Based on your research and experience, who is most [susceptible] to falling victim to an opioid addiction? OMAR MANEJWALA: In terms of susceptibility—and I think this is really important—anybody can develop addiction. So it has nothing to do with willpower. People with very good constitutions, even very strong faith, can develop this condition. For many addictions, about half the risk of developing addiction appears to be genetic. It affects any race, culture, ethnicity, socio-economic group. It affects many women. There are some risk factors: men are slightly more at risk than women—the highest risks we see are between the ages of 16 and 45. And then some really, really strong risk factors are having sexual abuse as a pre-adolescent—having been abused, or having a personal history of some other addiction, or even a family history of addiction is a risk factor. And then really, really strong risk factors are depression, anxiety and other mental illnesses. And in both North Carolina and the United States right now, whites are more likely to become addicted to opioids than other races, followed by Native Americans and indigenous peoples. But again, it really can affect anybody. JOHN RUSTIN: One of the most troubling aspects of this epidemic is how easily someone can move from using opioids legitimately for pain relief— after surgery for example—to getting hooked and falling into an addiction. Talk to us a little bit about the progression of this problem among someone who may initially use opioids for pain relief but then gets hooked and moves into these other more problematic stages of drug use. OMAR MANEJWALA: Your question I think, says it: which is that addiction is a chronic, progressive and, if left untreated, a fatal illness. It does progress; It doesn’t get better; It gets worse, unless we intervene. I think one of the key points to note here—and this is true in North Carolina by the way as well—that even though we reduce opioid prescribing, overdose rates keep going up. Part of that is because of the supply in the medicine cabinets and on the street, switching, like you described. to heroine and [other illicit drugs]. And even though we’ve made progress on prescribing, we haven’t solved the root causes. Most of the epidemic is not fueled by people with chronic pain switching to illicit drugs. But on the other hand, there’s a lot of evidence that suggests that there’s a problem related to how much supply of opioids we have floating around in medicine cabinets and on the streets and available to people. If you look at people who overdose—do some research on what their lives were like before they started/overdosed, what you find is that in many cases there was addiction to other substances that occurred before they started using opioids. Or they had serious mental illness or other history of trauma or other risk factors in the past. So, the opioids are one risk factor but a lot of times, you see a lot of other risk factors. So, bottom line is that we have to be sensible. Doctors and others have to be sensible when we prescribe these drugs, because if somebody has one of these risk factors, then this is not the best person to be receiving, necessarily, opioids. And in all these cases, we should have access to reversing the overdose by—There’s a medication called Naloxone, which is a little bit like the defibrillator for opioid addiction, in the sense that if someone overdoses, you can use that to reverse things. So, people should have access to that. So to answer your question, these are progressive illnesses and if we don’t intervene, more people are going to die. JOHN RUSTIN: What kind of warning signs should families look for that could indicate that a loved one may be falling into an opioid addiction, or other drug addiction for that matter? Look for the signs of addiction. So intoxication looks different depending on whether it’s opioid […] or alcohol or whatever. But for opioids: you want to look for pinpoint pupils, sedation, constipation, slowed breathing, slurred speech, and a lot of times, people will be nodding off. For withdrawal: withdrawal from opioids looks a lot like the flu. So you see headache, nausea, fatigue, sweating, insomnia, restlessness and agitation, irritability, and the pupils will generally dilate in withdrawal. And then the third thing you want to look for is the signs of addiction. That’s the behavior, things like shopping for different doctors, sudden financial problems, relationship challenges, anger outbursts, leaving the home at odd hours, unexplained phone calls, lying, shifting the blame, you can see really wide mood swings. I tell people, trust your gut. If something doesn’t seem right, then dig deeper. JOHN RUSTIN: What would be, Dr. Manejwala, your number one piece of advice or resource for parents who have discovered that one of their children or someone they love may be addicted to opioids, or is having a drug problem? OMAR MANEJWALA: In so many communities, I see shame and stigma and fear and wanting to keep this private and not get help. So, I would say the number one recommendation I would have is get help. Don’t be afraid to talk about it. Treatment can be effective. You do need support and to talk about it. I think people die in the shadows. If we can start to look for help, get support, talk about it, that can really make a difference. JOHN RUSTIN: Where are some of the best places to seek help for this situation if an individual or someone they care about is struggling with this? OMAR MANEJWALA: In North Carolina, there’s a nice website that lists all the resources available, whether you’re a family member, someone yourself whose struggling, law enforcement officer, treatment provider. It’s all sort of gathered under one roof and that is a website you can go to is opioidresources.ncdoj.gov. It’s great because it’s a central clearinghouse for us North Carolinians on where to look to get help, where to get treatment, where to get support, where to learn more. JOHN RUSTIN: From your experience, what role can faith, or spirituality have, both in prevention but also in effective recovery from addiction. OMAR MANEJWALA: I gave a talk on this very topic at the Association of Professional Chaplains annual meeting, and again last month here in North Carolina at a clergy convocation, and there’s a lot of interest in this. I also write about the role of spirituality in recovery in my book, Craving, and the fact is that spirituality plays a huge role in helping people get into and stay in recovery because addiction affects the major domains of life that spirituality addresses. There’s actually a very old book that’s a classic in this called, Alcoholism and Christian Experience by Woodruff. Woodruff lays out the spiritual dimensions of addictions and says that it affects things like: confession and forgiveness; loss and recovery of hope;—the variety of spiritual experiences—pride and humility; the perception of work with a loving and welcoming God; the need for harmony between your behavior and values; the role of family history and family responsibility; and a bunch of others. He does a nice job of walking through that and it makes a lot of sense. For those who are open to it, exploring the role of love and faith and hope and joy and forgiveness and compassion, and really, all the dimensions of spirituality is really critical for addressing addiction. And it’s an appropriate component of addiction treatment and care. To make an important point about that, you’re not going to solve addiction through spiritual approaches alone in most cases, just like you wouldn’t solve most heart disease or cancer through those approaches alone. So, you have to get medical care. That’s vital. But I think people sometimes swung the pendulum too far the other way and said, “There’s no role for spirituality” and that’s just not true. We live in the spiritual world and people who are struggling with these kinds of crises of identity of their own values, of their problems, of their meaning, need to be able to access support in those areas as well. JOHN RUSTIN: A great resource to better understand this issue overall, I know is your book, Craving: Why We Can’t Seem to Get Enough. Dr. Manejwala, where can our listeners go to avail themselves of the very helpful information that you’ve included in this book? OMAR MANEJWALA: That book is available everywhere books are sold, or you can go to Amazon, or an easy place to get it is just cravingbook.com. JOHN RUSTIN: Great. 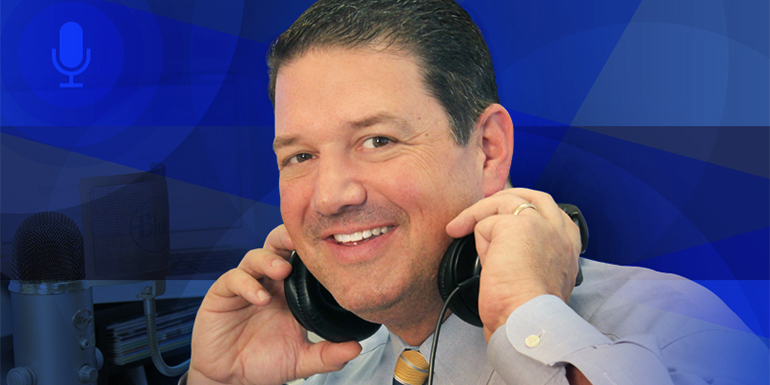 Well, thank you for all of your work in this arena and for helping our listeners today better understand this topic of opioid and drug addiction. It really is a growing, growing problem in our state, and something that we all need to turn our attention to because there will be loved ones that we care about that are impacted by this, either directly or indirectly, as we ourselves may well. With that, Dr. Omar Manejwala, I want to thank you so much for being with us on Family Policy Matters and for your commitment to addressing such an important issue that is impacting our culture today. We really appreciate your time. OMAR MANEJWALA: It’s been my excellent privilege to be with you today, John. Thank you for the opportunity to speak to you and to your listeners about the preventable and treatable problem of addiction.